LIDL is located directly in Mancetter Square on Lincoln Road, about a 3.08 mile drive north-west from the centre of Peterborough, in Werrington (a few minutes walk from Werrington Recreation Ground, Voyager Academy and Planet Ice). The store is situated in a convenient location to serve the patrons of Millfield, New England, Paston, Gunthorpe, Peterborough, Ravensthorpe. North Bretton, Netherton, Werrington, Dogsthorpe and Walton. Today's (Monday) business times are 8:00 am to 10:00 pm. This page will provide you with all the information you need on LIDL Werrington, Peterborough, including the working hours, local navigation, telephone number and other relevant info. LIDL is easily accessible close to the crossroads of Lincoln Road and Werrington Parkway, in Werrington, Peterborough, at Mancetter Square. Merely a 1 minute drive time from Benedict Square, Dukesmead or Marholm Road; a 4 minute drive from Bourges Boulevard, Bretton Way or Junction 18 of Soke Parkway/A47; or a 5 minute drive time from Paston Parkway. The postcode for your GPS systems is: PE4 6LA. The closest bus stops are: Werrington Parkway/ Dukesmead or Lincoln Road/Mancetter Square. Service on routes: 101, 102, 201 and 202. The train runs to Peterborough Station (2.56 mi away). Simply catch the lines: East Midlands Trains, Grand Central, Great Northern, Greater Anglia, Virgin Trains EC and CrossCountry. Around the store you will find Norwood Primary School, Queensgate, Paston & Gunthorpe Community Association, Honeyhill Community & Children's Centre, Peterborough City Hospital, Dogsthorpe School, Fullbridge Park, Bretton Centre, Watergall Primary School and Maskew Avenue Retail Park. There is presently a total number of 2 LIDL branches open in Peterborough. 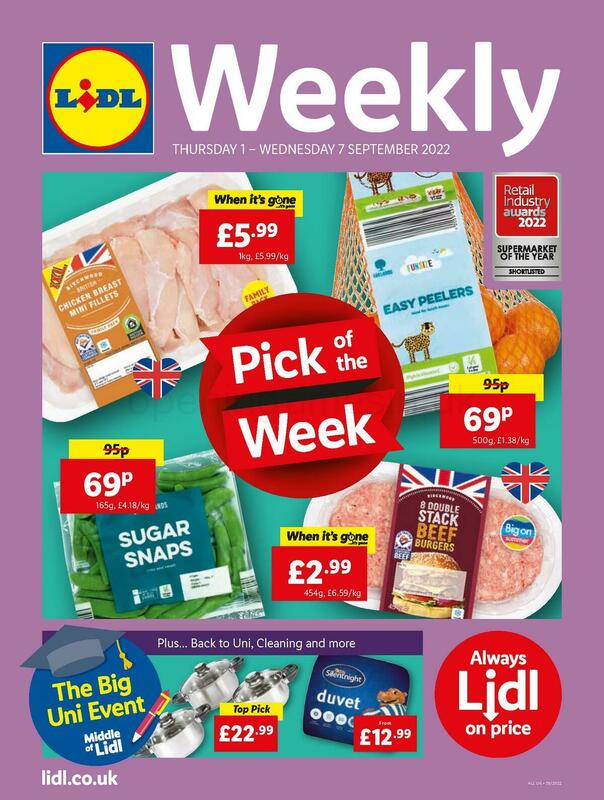 Visit the following link for a complete listing of LIDL stores near Peterborough. Please take into consideration that the opening times for LIDL in Werrington, Peterborough may vary from established times over the UK holiday period. For the year 2019 it includes Christmas Day, New Year's, Easter or Bank Holidays. Have a look at the official website when planning your trip to LIDL Werrington, Peterborough, or call the direct service number at 0800 977 7766 for detailed information about the holiday operating hours. When visiting LIDL, don't forget to check out the wide assortment of appealing stores at Mancetter Square. Existing shops such as Screwfix and LIDL can be found here. We are always striving to supply you with the most current information. Should you find errors in the location particulars or store hours for LIDL in Werrington, Peterborough, please use this form to report a problem. You can rate LIDL using the form below. Please also rate the location using the star ranking scale.